Unfortunately we have sold out of this size cutter, the good news is that we will be making another batch which we would like to finish before the end of 2015. If you need one before then, then please email us & we maybe able to make one especially for you. This cutter comes with the 2 small extension arms & 2 hot wires. This new polystyrene cutter can also be used with our large extension kit below.This cutter has a hot wire of 150mm long, and the reach (distance from hot wire to base of frame) of 150mm. If you need something with a longer wire then have a look at our 480mm hot wire cutter. Mains powered with a long 1.2 meter lead, it heats & cools instantly at the press of a button & leaves a very clean edge with no pulling or under heat stringing that you may see with other cutters. This item is great for modelling scenery, DIY, home insulation, packaging, sculpting, stage scenery or general craft use, this is the hot wire cutter for you. As well as plumbers, electricians & refrigeration engineers this is also very popular with schools because the button has to be held down to keep the wire hot which is a very important safety feature for this type of tool. This stylish design incorporates a robust steel construction & is surprisingly light weight & well balanced due to its tubular frame. Ready to go straight from the box, no tools or assembly required. 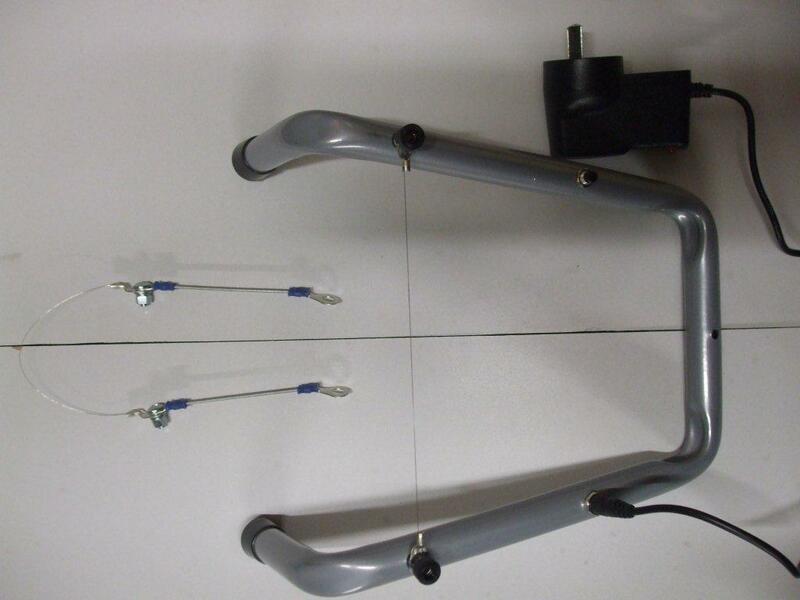 This extension kit is designed to be powered by our 150mm hot wire cutter shown above. It utilizes the same 150mm hot wire that is used on our hot wire cutters but it allows for a cutting reach of up to 650mm. This is ideal for cutting the large sheets of polystyrene up to 150mm thick into manageable widths of up to 650mm similar to a table saw. Or for cutting intricate designs similar to using a band saw. See the video at the bottom of the page for more information.We recommend mounting this on a solid piece of MDF which you can buy in NZ for around $20 or an old table, the bigger the better but at least a metre square, 2 metres by 1 metre would be better if you have the room although it will depend on the size of the item you are cutting. You will need to drill a 10mm hole in the table for the hot wire to come through. With this kit you will be able to cut up to 650mm in width & up to 150mm thick, that means you can cut a 1.3 metre wide polystyrene sheet in half. These are the spare wires that fit our 150mm hot wire cutter and our large 650mm large extension kit.. Each 150mm hot wire cutter is shipped with 2 of these and each large extension kit is shipped with one of these. This is a set of spare short extension arms that fit our 150mm hot wire cutters, a set of these are shipped with every 150mm hot wire cutter. This cutter is designed to cut polystyrene but the video above shows that it can also cut many different types of foam as well as webbing. The denser the foam the slower the cut. The cutter comes with 2 wires as well as 2 extension arms that allow the wire shape to be manipulated for different designs. The video above shows how to mount the arms & then goes on to show how to create a stream bed for modelling scenery. We have also manufactured a mounting hole in the base of the handle for mounting the cutter to the edge of a table, if you combine this with a straight edge you can cut straight lines & angles with accuracy. Above is the large extension kit video, we recommend mounting this on a solid piece of MDF which you can buy in NZ for around $20 or an old table, the bigger the better but at least a metre square, 2 metres by 1 metre would be better if you have the room although it will depend on the size of the item you are cutting. You will need to drill a 10mm hole in the table for the hot wire to come through. With this kit you will be able to cut up to 650mm in width & up to 150mm thick, that means you can cut a huge 1.3 metre wide polystyrene sheet in half. The hot wire is vertical at 90 degrees to the table in our video above, but the wire can be very easily angled in any direction to create an angled cut. This has many uses but it would be advantageous when cutting polystyrene for under floor insulation between the joist. 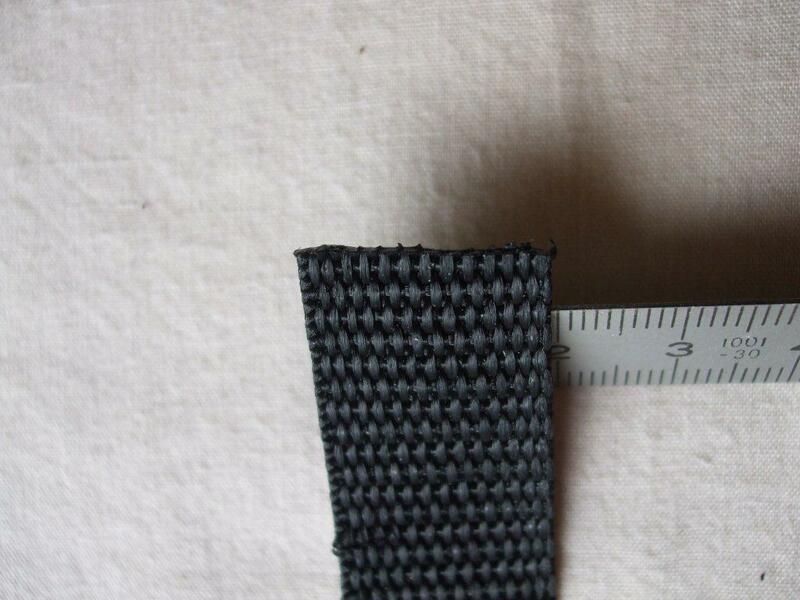 We get asked this question a lot so with this picture we wanted to show how good the cut looks when cutting polyester webbing. It certainly will not fray whilst still looking great. 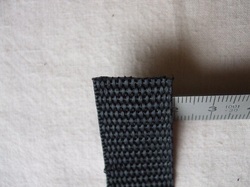 The top video shows us cutting this webbing. A full range of spares are available via email & spare extension arms & wire can be found on the website, although experience has shown that the supplied wire will last for a very long time & depending on use you may never need to replace it.